PVC heat shrinkable film offers many benefits. The film from the PVC heat shrinkable film extruder adds glossiness, high transparency, durability, water resistance and easy control of shrinkage to several packaging products used for food beverage products and sports goods, mainly used for packaging high class articles such as bottle caps, dry battery cells, LPG valves cap seals, etc. 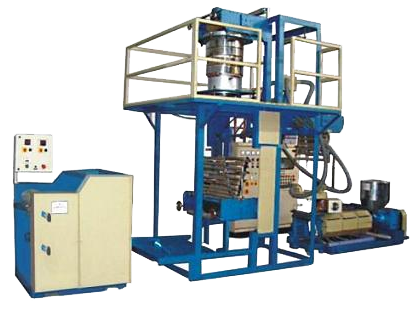 This machine comes with Rotogravure printingmachine facilities. We developed a dedicated R&D facility on PVC heat shrink film technology and we have a strong engineering background and experience to provide a comprehensive PVC Heat Shrinkable Film Making Machine and its equipments.